At work we have a static DNS domain (as opposed to DDNS). 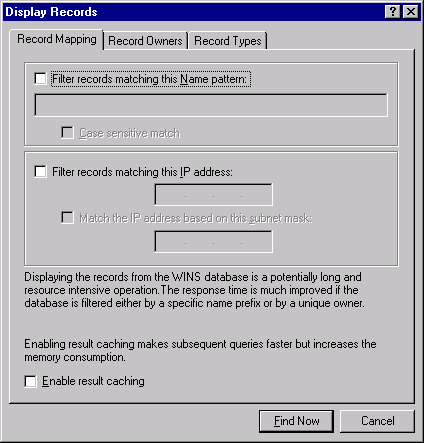 Most of the time our PC’s don’t have A records created in DNS, meaning that any peer-to-peer connection is done via NetBIOS broadcast. Although peer-to-peer is rare–it sometimes lurks in the dark corners of research labs. 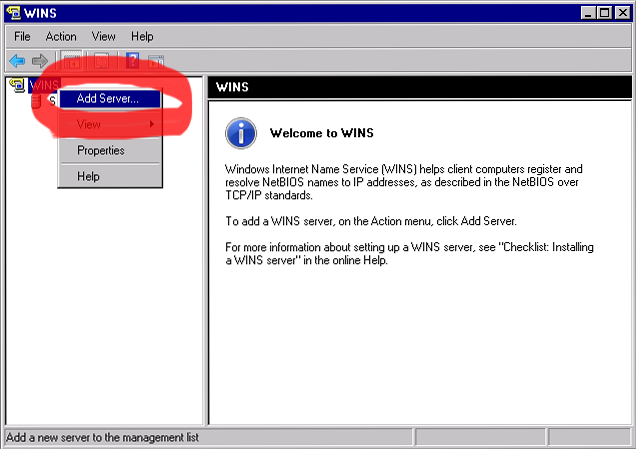 WINS is a simple service to install that’s a kind of mini-dns service for Windows clients. It reduces broadcasts since clients attempt WINS before netbios, and it allows workgroup SCCM computers to find your Service Locator Point. Here’s how you install it! I choose a 2 server set-up for redundancy. Let’s call the servers ‘wins1’ and ‘wins2’. On wins1, configure the server’s IP address, DNS records, run updates, etc. Now, repeat the process on wins2, entering the wins1 IP Addr. 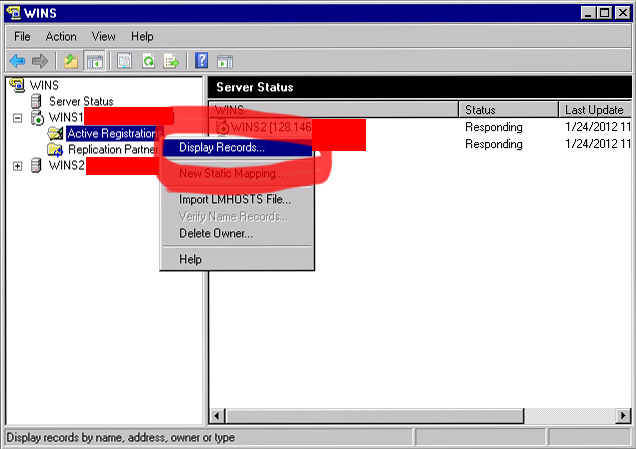 Configure your dhcpd or Windows DHCP server to advertise WINS (beyond the scope of this post). Go to Start -> Run and enter “winsmgmt.msc” to launch the WINS console. 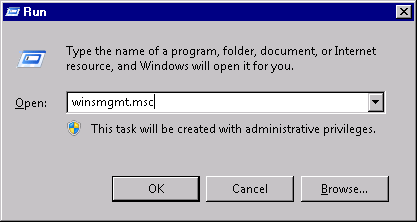 Alternatively, go to Control Panel -> Administrative Tools -> WINS. Right-click “WINS” and choose “Add Server”. Enter the wins1 IP Address. Repeat the process, entering “wins2”. 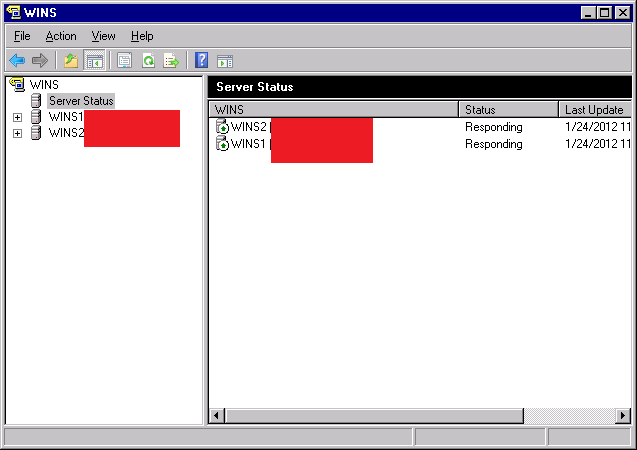 Click “Server Status”, and you should see “responding” under both servers”. Now, expand wins1 then right-click “Active Registrations”, and choose “Find Now”. Make no modifications to the find settings and click “Find Now”. 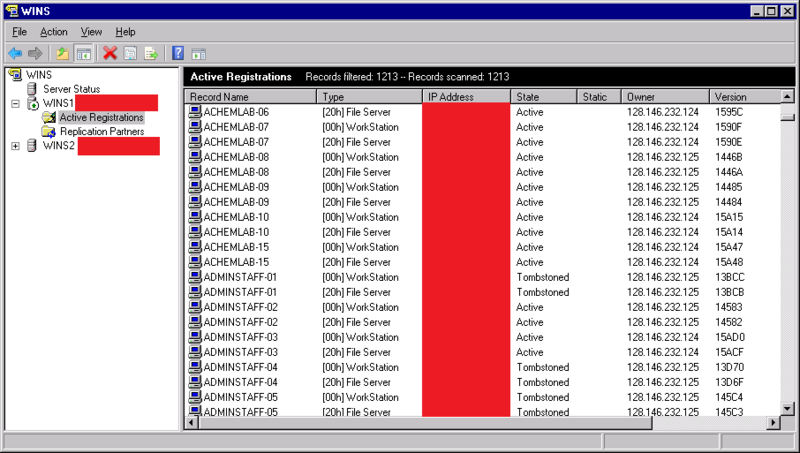 After a short time, your registrations should begin piling up. Congrats! It’s that easy. Pretty much set-and-forget. This entry was posted in Windows Server 2008 R2, WINS by windowsmasher. Bookmark the permalink.